Welcome to our Casino School! Our team have devoted a lot of time and effort into creating this step-by-step guide to casino gambling. Here you can find good tutorials, history, rules, strategies, FAQ’s, and great player tips in general when it comes to online casino gambling. The casino education curriculum is divided into 3 sections – Beginners, Intermediate and Advanced. The 1st section is devoted for our new players and people who are very new to online casino gaming. This section contains most basic and most important aspects when it comes to online casino gaming. 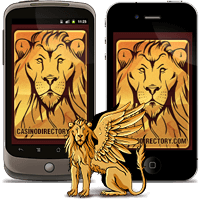 From how to select the best casino, bonuses offers to choose from, to deposit/withdrawing funds, and security of your private details. After going through this section, you will understand the basics of how online casino gaming works and how easy it is to get started. The is the final section that is for the more experienced players. This section will go deeper into certain topics & strategies so you can get a greater understanding of a variety of things to help you improve.